(WASHINGTON DC, April 5, 2019) – Cruise Lines International Association (CLIA) has announced the 2019 Hall of Fame Cruise Industry Awards. 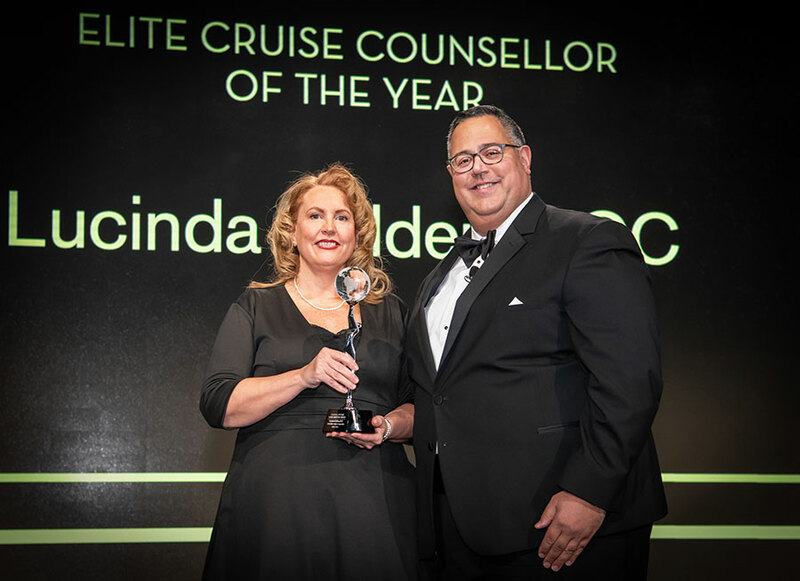 The awards identify individuals and organizations whose efforts and accomplishments represent a significant contribution to the cruise industry. 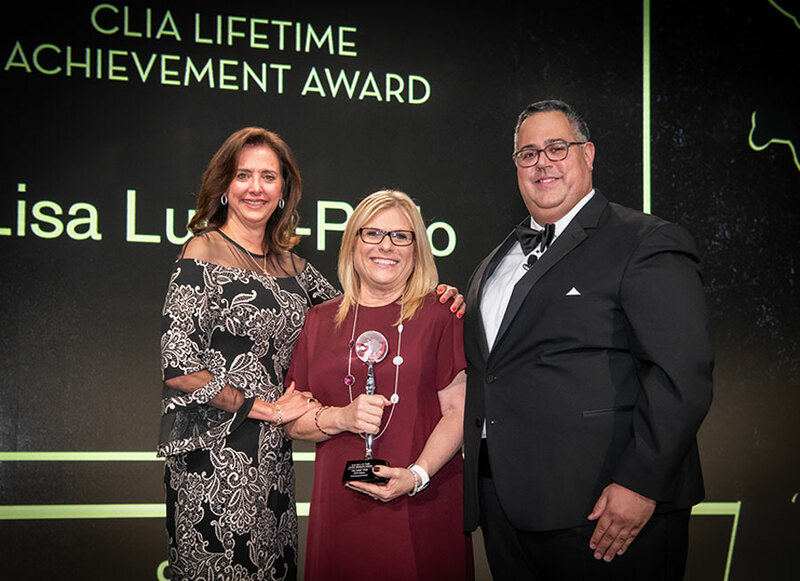 Award winners received recognition at the Hall of Fame Cruise Industry Awards Gala Dinner during the CLIA Cruise360 conference in Fort Lauderdale, FL on Thursday, April 4, 2019. Awarded to an individual who is a lifetime champion of cruise travel and has made monumental contributions to the cruise industry. As President and CEO of a multi-billion dollar vacation brand, Lisa Lutoff-Perlo is a high-impact leader in the travel/hospitality industry. Her commitment to opening up the world through travel has brought recognition, awards and invitations for Celebrity Cruises to be applauded for their global impact. Lisa was appointed President and CEO of Celebrity Cruises in December of 2014, making her the first and only woman to lead one of Royal Caribbean Cruises Ltd.’s (RCL) cruise line brands – as well as the first and only female CEO of a publicly traded cruise line on the New York Stock Exchange. Lutoff-Perlo is a high-impact leader in the travel/hospitality industry. Lutoff-Perlo has held a variety of roles during her ladder-climbing 32-year tenure with Royal Caribbean Cruises Ltd. She spent many years within the sales and marketing organizations in varying roles and levels of responsibility, creating a deep understanding of the value of customers. Lutoff-Perlo actively participates in and lends her leadership to a number of regional, philanthropic and women’s organizations. She has received numerous awards for her contributions to gender equality, diversity and inclusion, the travel industry and the South Florida business community. Awarded to a CLIA Travel Agency Member who has demonstrated visionary leadership in their approach to promoting cruise travel and growing their cruise travel sales. 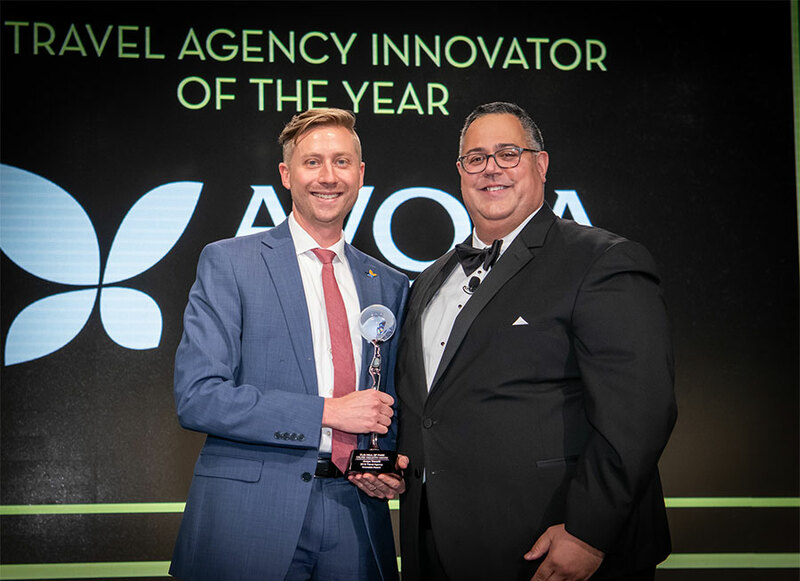 A CLIA Premier Travel Agency, Avoya Travel is a family-owned company with a longstanding reputation for being one of the world’s most innovative marketing and travel technology companies. As an American Express Travel Representative for more than 30 years, and one of their largest sellers of cruises and tours, Avoya is deeply committed to Integrity and Professionalism™, service and value in every aspect of planning cruises and vacations. Through an elite network of independently owned and operated travel agencies, Avoya provides exclusive discounts, amenities and first-class customer service to travelers worldwide. In 2018, Avoya entered into a first of its kind professional development partnership, under which CLIA serves as the preferred professional development and introductory travel education provider for new-to-travel professionals opening an Independent Agency in the Avoya Travel Network™. Through the partnership, new-to-travel professionals affiliating with the Avoya Network can join CLIA with Avoya’s member rate and take a series of CLIA courses prior to affiliation. With education in selling skills, customer service, cruising, geography, and more, the CLIA courses are all designed to give new-to-travel Avoya Network members the knowledge and foundation needed to achieve early success with their Independent Agencies, begin claiming more Avoya Live Leads™ (new customers sent directly to Independent Agencies) sooner, and booking more exceptional vacations. Avoya is headquartered in Ft. Lauderdale, Florida, with support offices throughout the United States. Awarded to an Individual Agent Member who has demonstrated their career commitment to professional development through achievement of Elite Cruise Counsellor or Elite Cruise Counsellor Scholar status – the pinnacle of CLIA certification with the requisite sales requirements – as well as significantly impacted the travel agent landscape through contributions to their agency. Lucinda is committed to professional development and sharing the value of using a travel agent, particularly when booking a cruise. A brand ambassador for Dream Vacations, Lucinda has served on its Certified Spokesperson team for six years. This means she is provided with interview opportunities – consumer and trade – where she can share her professional expertise. She often is called upon by prospects to learn more about the Dream Vacations opportunity and whether it is a career worth pursuing. Lucinda is a professional student of travel – always studying to learn the latest and greatest in the industry so she can better serve her clients and provide them with the best customer experience. Lucinda also mentors travel professionals in third-world countries through her involvement with the non-profit organization Adventure Angels. The 2019 Cruise Industry Hall of Fame Cruise Industry Awards draw nominations from throughout the CLIA membership. Recipients of the awards are determined by a selection panel that includes representatives from the CLIA Strategic Trade Advisory and Review Board (STARBoard) and Trade Relations Committee.